When my husband and I arrive at Hotel Jackson, (rooms from $499 per night, hoteljackson.com), a luxury boutique hotel in the heart of downtown Jackson Hole, Wyoming, we’re greeted by its friendly staff, mountain-modern-chic surrounds and the promise of a getaway filled with unforgettable outdoorsy experiences. 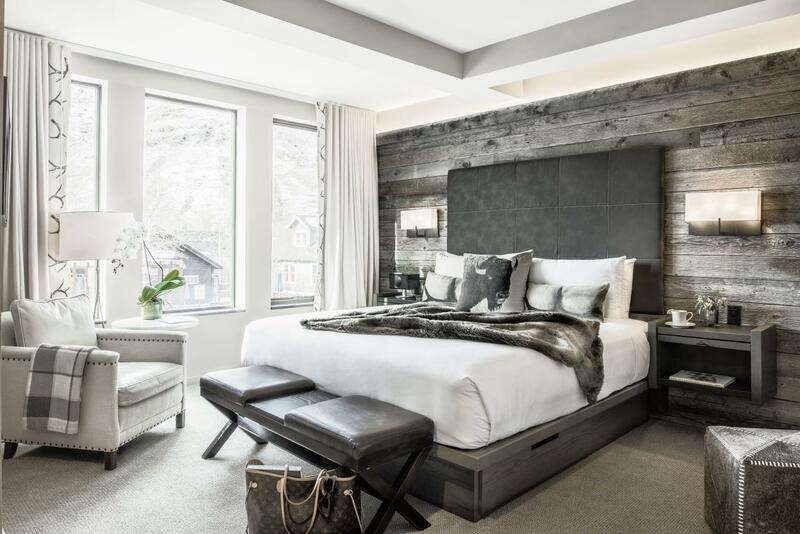 Named in honor of the original Hotel Jackson—one of the first buildings that made up the town in the early 1900s—the property counts 55 guest rooms (each with a cozy gas fireplace) that combine rustic elegance with contemporary Western design. In the lobby is top-shelf restaurant and bar FIGS, which, unique to the area, serves authentic Lebanese and Mediterranean cuisine, including dozens of shareable plates and a jaw-dropping seven varieties of hummus. Of course, we can’t visit Jackson Hole and not hit the slopes. We spend many of our afternoons on the mountains, arriving to Teton Village in style via Hotel Jackson’s complimentary Mercedes motor coach shuttle. After long days spent skiing and snowboarding, there’s nothing more welcome than a soak in the hot tub on Hotel Jackson’s rooftop—complete with a view of the stars, Snow King Mountain and downtown.